I clicked on something once, and I found myself down the rabbit hole of the internet. Well I did it again this morning, and I actually found something worth reading instead of the usual drivel. 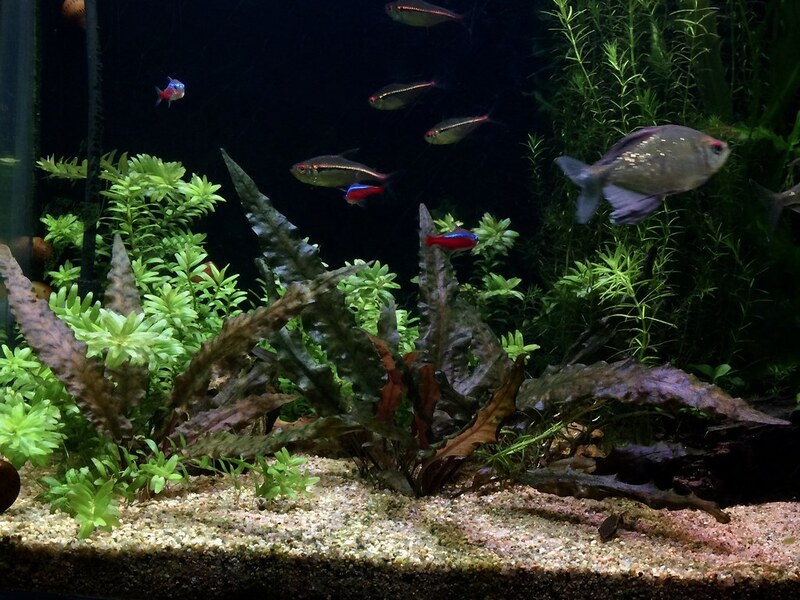 Cryptocoryne Wendtii – How to Grow and Care for Cryptocoryne Wendtii. I have been a fan of Cryptocorynes since my first aquarium in 1968. I am far from an expert, and there is as always much to learn so off I went and read from beginning to end. Perfect for beginners to our wonderful hobby, not too detailed but enough so that someone brand new gets the basics. Eclecticjanie and Eclecticjanie like this. Did you by chance save the Web page? If so, please share? StevieD and StevieD like this. oops that would have been to much like common sense huh? Yes I sure did and here it is, my only excuse it was *very* early in the morning. Riceman, Riceman, Eclecticjanie and 1 others like this. Wow I would love to see a 100 gallon tank dominated by Cryptocorynes. I must admit they are one of my favorite plants. I currently have five or six different ones in my 50 gallon. I was fortunate that I did not get hit with the usual wilting after being transplanted, please believe me it was definitely more good luck than good management. The first one I got is dominating the center of the tank and it seems like an almost daily occurrence when I see new leaves. Me too! I just did a 20 long with a few species and if I get a bigger tank for my African tetras I am hoping to make their current 46 bowfront into a SE Asia tank with Java fern, Buce, and Crypts as the plants. I already have it all planned out in my head. I had some C. wendtii 'Red' in a 20g low tech for 3 years and it survived but when I moved it to a high tech tank it really took off. It is so beautiful now. Here is a pic from 2 weeks ago but since then it has put on even more new growth. There are a bunch of tiny leaves from runners growing up around the base of the largest plant now. Riceman and Riceman like this. That looks a really really nice example you have there! Christmas is just around the corner and I already have my order in with my beloved for a 48" LED.